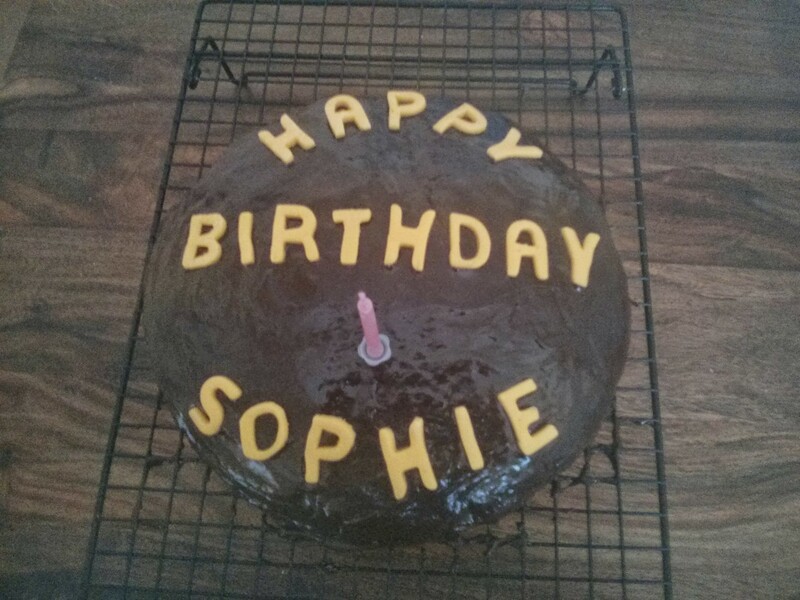 It’s Soph’s birthday this weekend, so of course I need to make a cake! 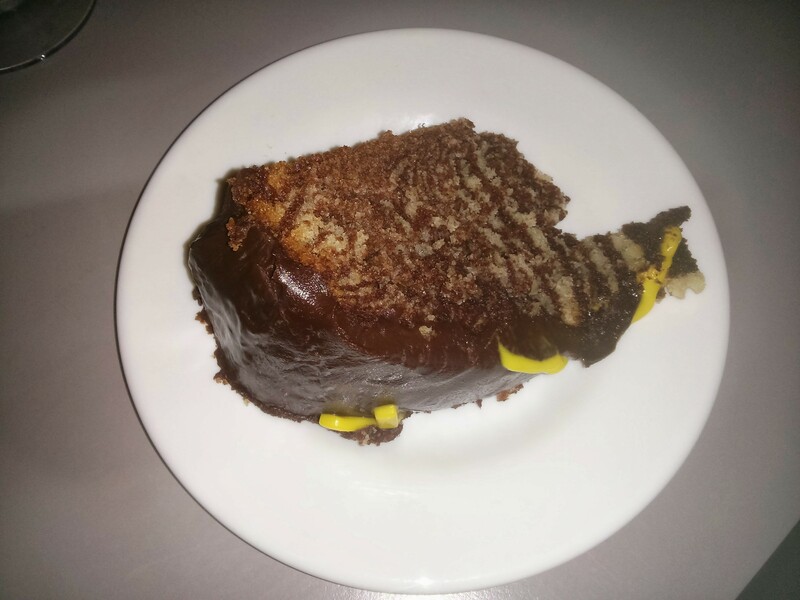 I joined the library last week and took out Lorraine Pascale’s book, which reminded me about her Crouching Tiger Hidden Zebra cake. So I’d doing this, with ganache icing, as a birthday cake! 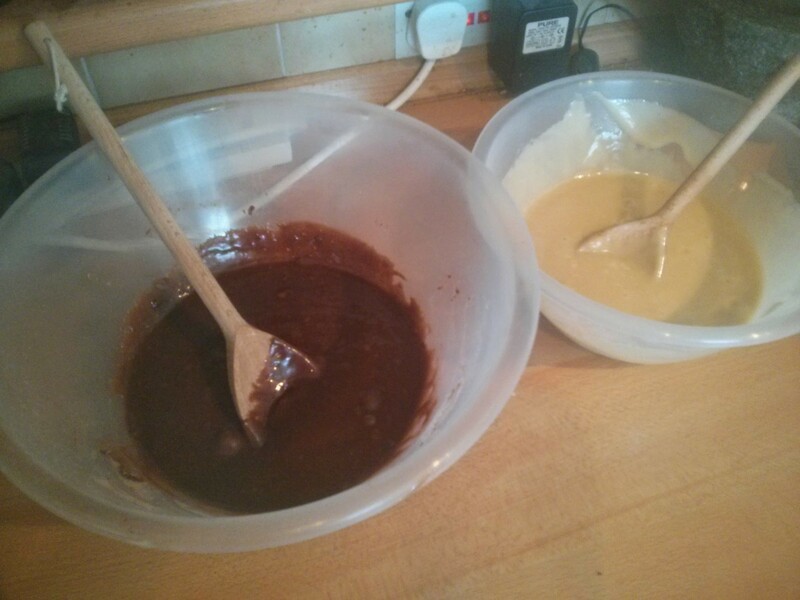 This all gets mixed together with a balloon whisk, then split into two 400g portions. One portion gets 175g self-raising flour plus 1/2 tsp of baking powder, the other gets 125g self-raising flour, 1/2 tsp of baking powder plus 25g of sifted cocoa powder. These then get mixed into cake batters. These then go into piping bags. 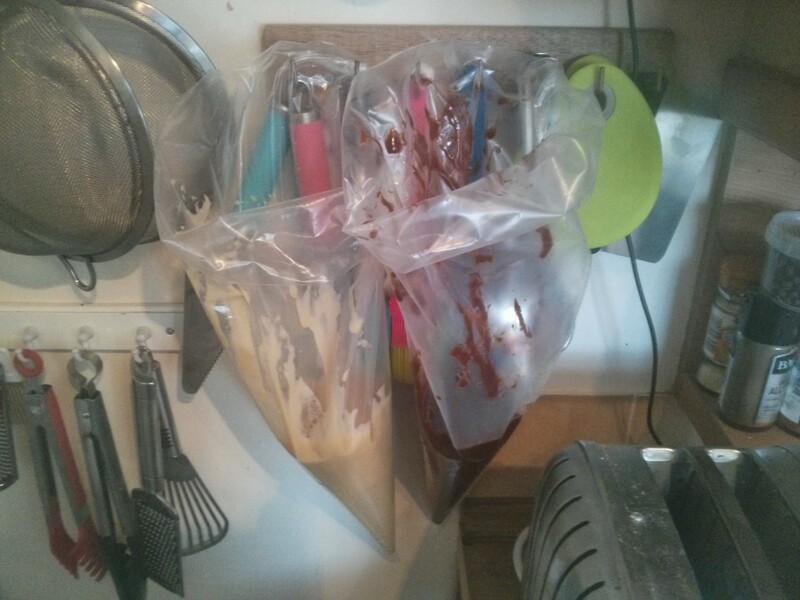 This is tricky… and I ended up hanging them up on utensil hooks! 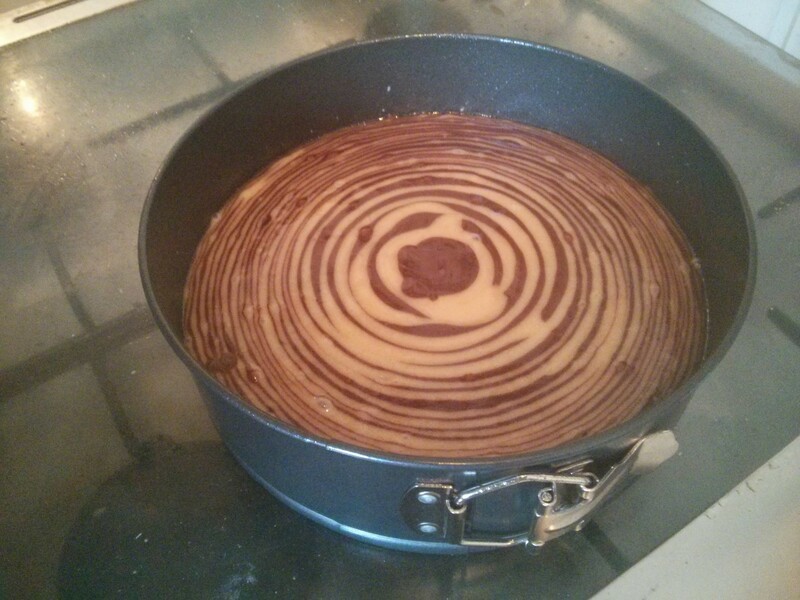 Then it’s into a greased and lined cake tin. I’m using one with a spring side because it was the first 20cm tin I came across. 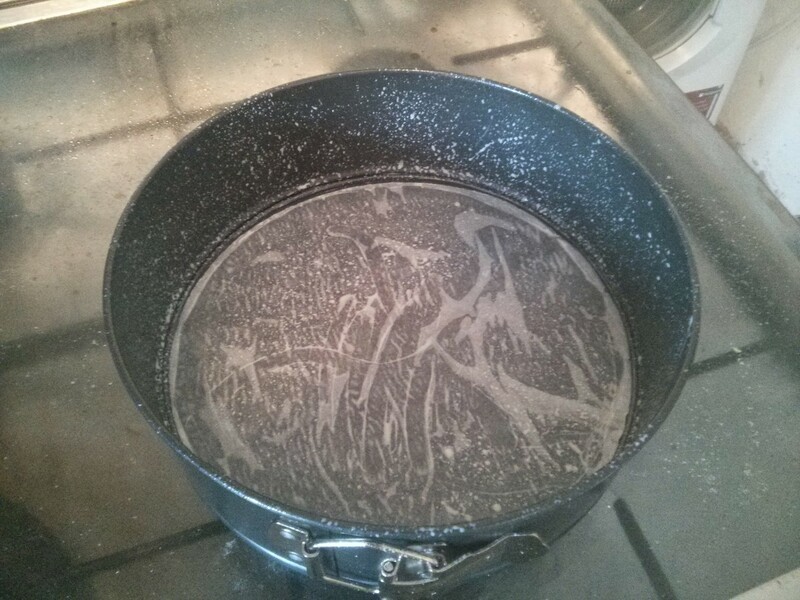 Then the mixtures are piped into the middle of the tin, one after the other, about a tablespoon amount per time… and amazingly it starts to form rings! After a long time of alternate piping, a lot of mess, and a few mistakes… all the mixture if used up and the cake is ready to bake. 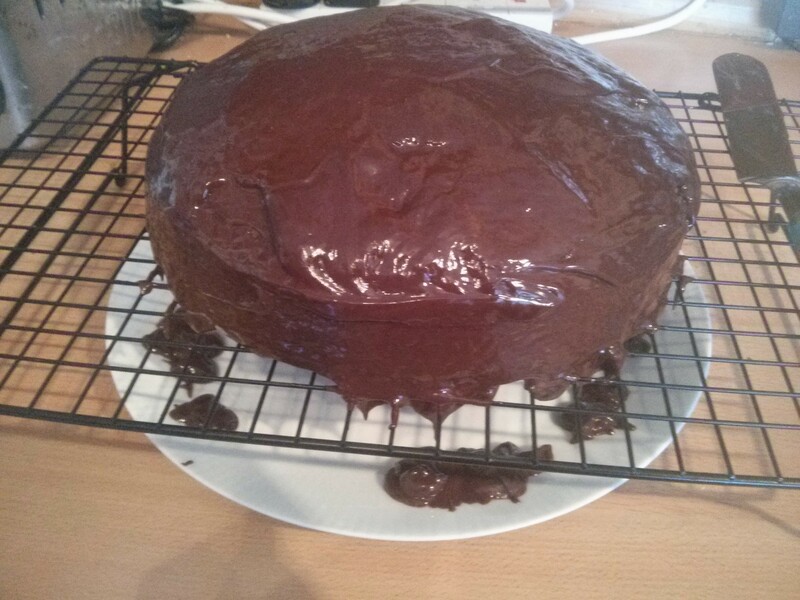 The ganache is basically equal parts dark chocolate and double cream. 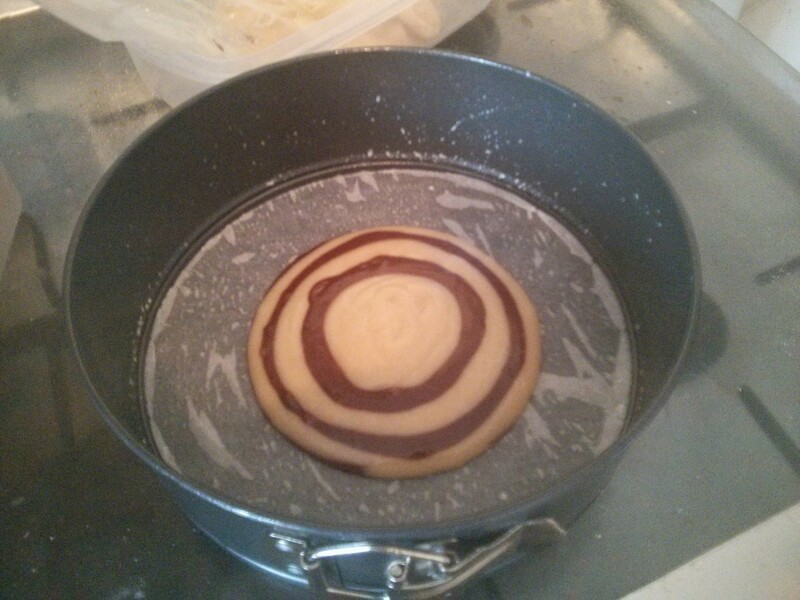 Heat the cream until it’s about to boil and pour over chopped up chocolate and stir in. 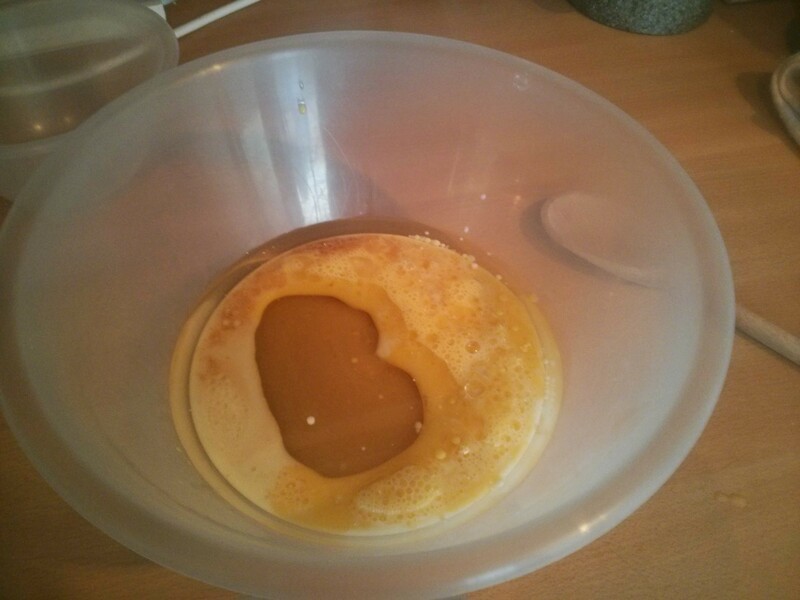 This then gets poured and smoothed over the cake. Finally I rolled out some fondant icing and used letter cutters to spell out happy birthday, and popped a candle on top. 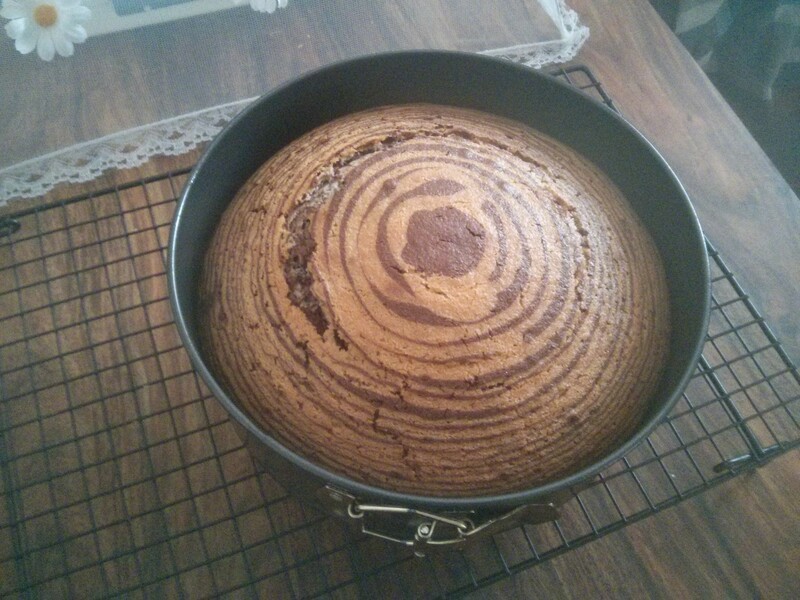 Unfortunately once you cut into it… the striping isn’t so good in some places: more marbled than stripy. Plus it was a bit dry. Maybe that was the extra cooking time? If I did it again I’d do bigger stripes (which would also make it quicker to make!) and try cooking it less… but I’m not sure how to judge that. Even after the extra 15mins the skewer was coming out with crumbs on it.